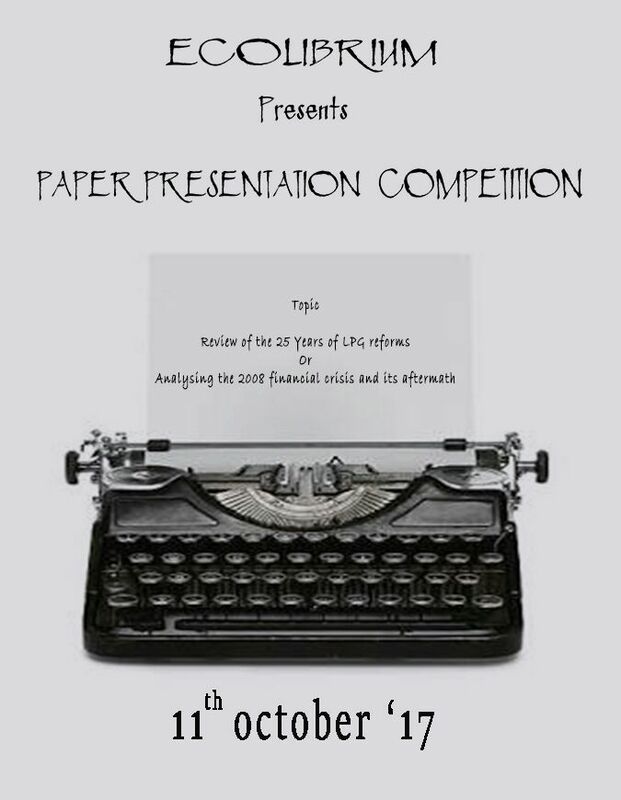 Ecolibrium, The Economics Society of PGDAV College is proud to present its Inter College Paper Presentation Competition. So get those grey cells churning – research , compile and present your ideas eloquently and grab exciting prizes! Delve into the nuances of the topics to come up with pathbreaking ideas that might shape the future of India! 6. Team Size: Maximum 3 members. So get up and get going!